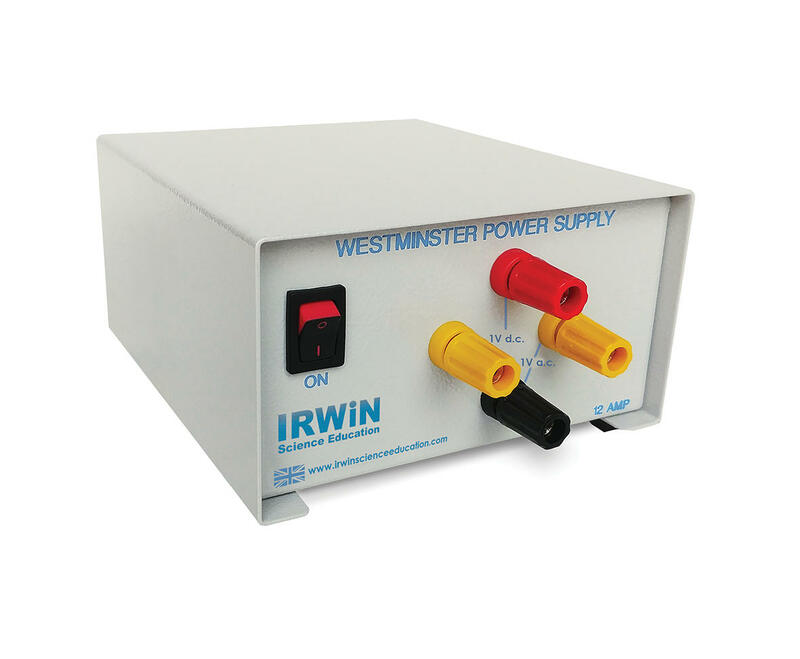 A compact power supply offering 2, 4, 6, 8, 10, and 12 volts at currents of up to 5A. 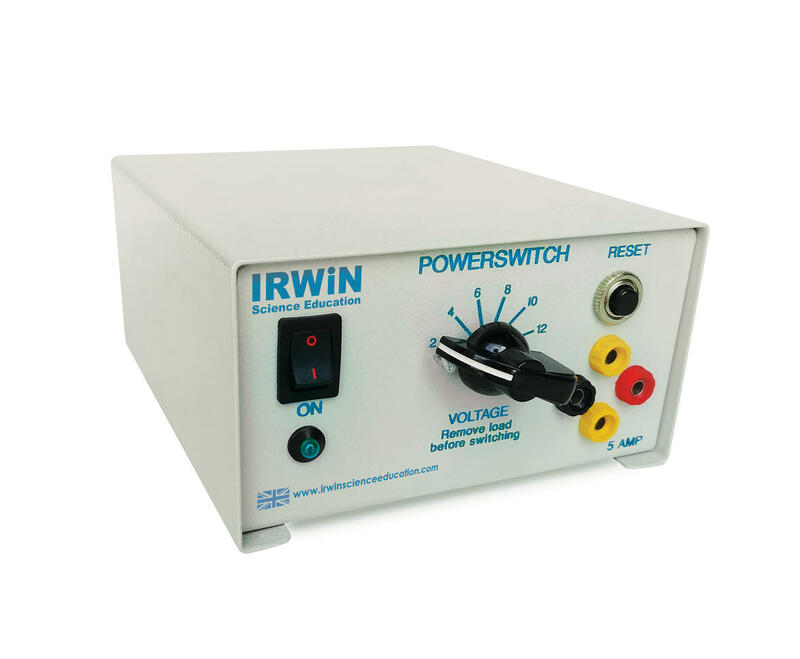 Both dc and ac outputs may be used simultaneously up to the rated output. The output is protected by a push button cut-out. 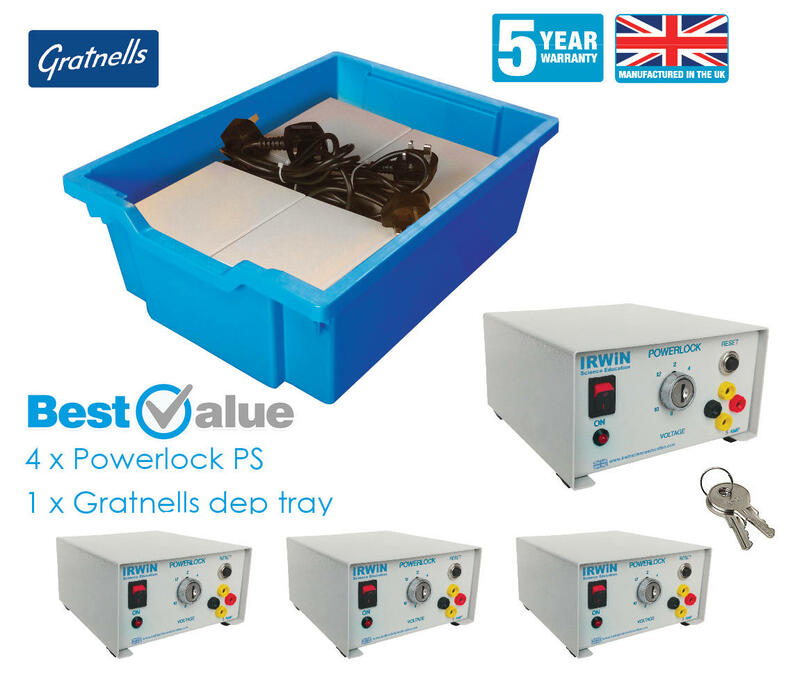 The unit is 2A fused on the back panel and comes complete with a moulded mains lead and plug. 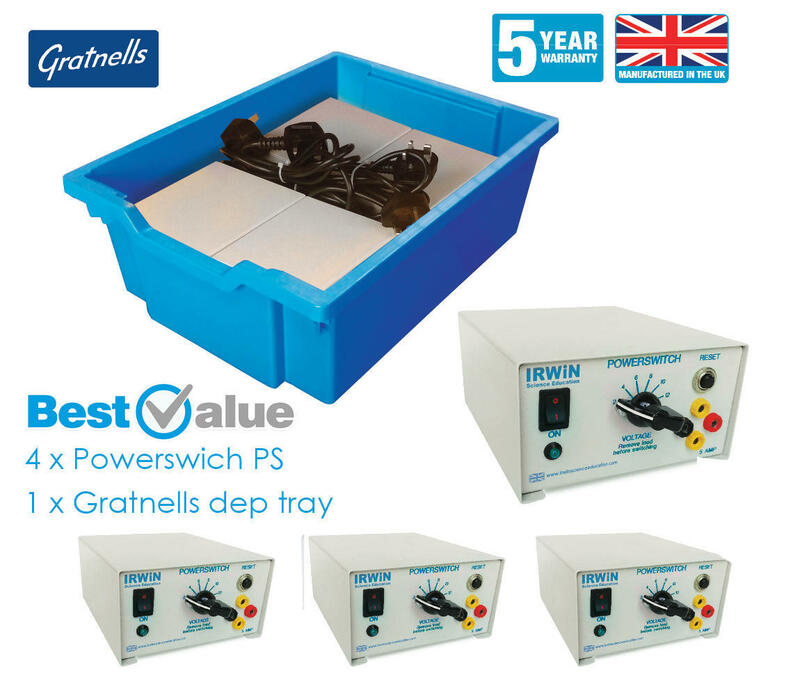 4 units are designed to fit in a shallow Gratnell tray.